We are so happy to announce the latest version of Simmer Pro. This latest version adds completely new tools to enhance Simmer recipes. Customers can get these important new features right now by upgrading to v2.3 and above directly from their WordPress dashboard. If you still need a copy of the plugin, grab yours here. Let’s jump right into what you’ll find inside this feature-packed update. Everyone knows that Pinterest strategy can be essential to recipe traffic growth, but answering the “how” part of that insight isn’t always as clear. To make this process easier for recipe creators, Simmer Pro v2.3 adds key components that encourage your visitors to save your content to Pinterest. The new Save Pin button that saves any images included on your recipe page to Pinterest along with an address, rich pin data for recipes to build shopping lists, and description text to the saved pin. If your domain is connected to your Pinterest Business account, your Pinterest profile will also be automatically attached and displayed. For added control and customization without writing a line of code, we’ve added the Highlight setting to control your button coloring. To change your button color go to Settings > Simmer in your WordPress dashboard. Pinterest requires a unique approach to visual content that favors a vertical layout for the pins boasting the most shares. Vertical images stand out and are shared frequently on Pinterest, but that doesn’t mean they’re the perfect fit for your blog or site content. We wanted to include these vertical images in recipes but we also wanted a way to hide them for use only by the Save Pin button. So, we created a simple shortcode method to hide photos from your content so they display for saving to Pinterest only. Use [pinterest-hidden-start] before a single or multiple hidden Pinterest images and then [pinterest-hidden-end] at the end. Add the shortcode to hide vertical or other images for use only on Pinterest anywhere on your site with a Pinterest share button, including content made with the new Gutenberg editor. This helpful tool can also be used in any content without a recipe, too. This past year Google updated their guidelines for recipe SEO. The new recommendations now officially include recipe keywords and videos. Recipe keywords and instructional videos add important contextual information for people searching for recipes on Google Home, Talk Assistant, and other future platforms for which Google sets standardization and best practices. 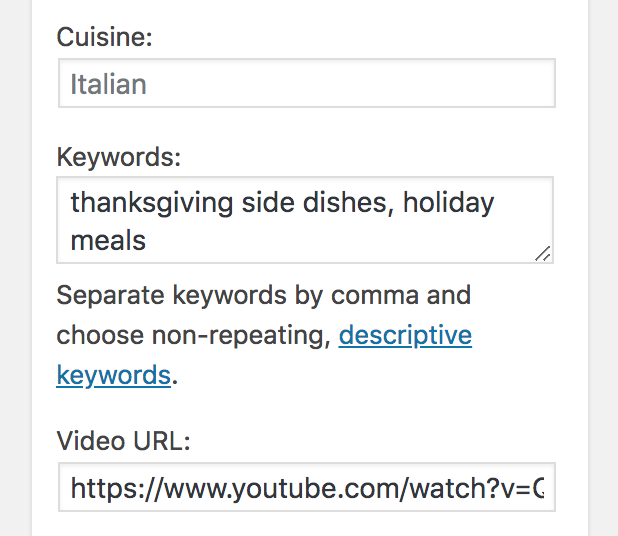 Simmer Pro always keeps your recipes up to date with the latest released shared by Google, so we’ve added new keyword and video fields in the Simmer Pro recipe editor so you can fully optimize recipes for SEO with a fully functional, well-supported recipe plugin. Voice technology is now used by people all over the world to find and interact with content and brands on the internet. Keywords added to recipes included on this type of platform provide more accurate search results and a better chance for the person to prepare a recipe they really love. The new keyword field in Simmer Pro 2.3 encourages recipe creators to add descriptive adjectives and nouns that accurately depict how a person might search for that recipe. For example, words that add detail and are not already included in the Cuisine field like holidays, method of preparation, or seasonality are all great options. These keywords are targeted towards the machine learning Google uses to serve recipe search results, so we’ve designed them into the bottom of your recipes. 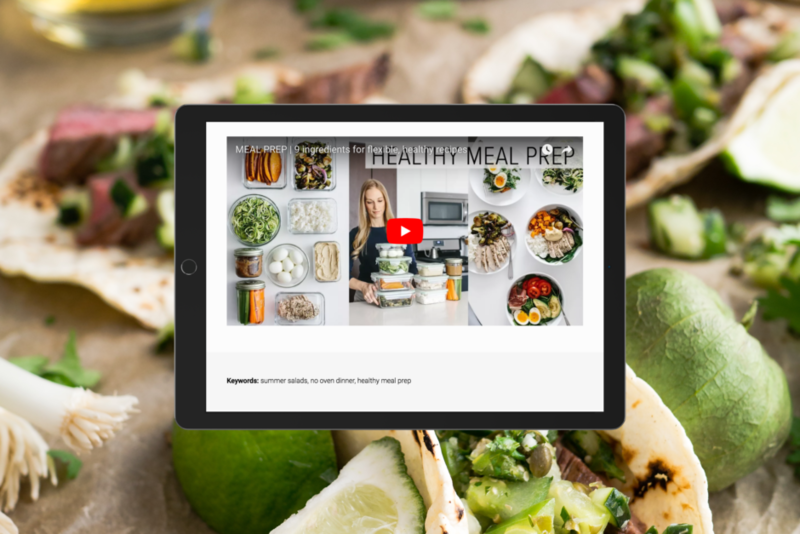 In addition to descriptive keywords, instructional videos enhance the experience of someone making a recipe found through a search platform especially if they’re preparing the recipe for the first time. The new Simmer Pro video field also includes a video object for your recipes that Google will recognize and provide to recipe searchers. This new tool allows any oEmbed video found in WordPress, including YouTube, Vimeo, and many others. In addition to the video object output using your recipe title, publication date, featured image, and description, Simmer Pro videos are displayed below recipe instructions. 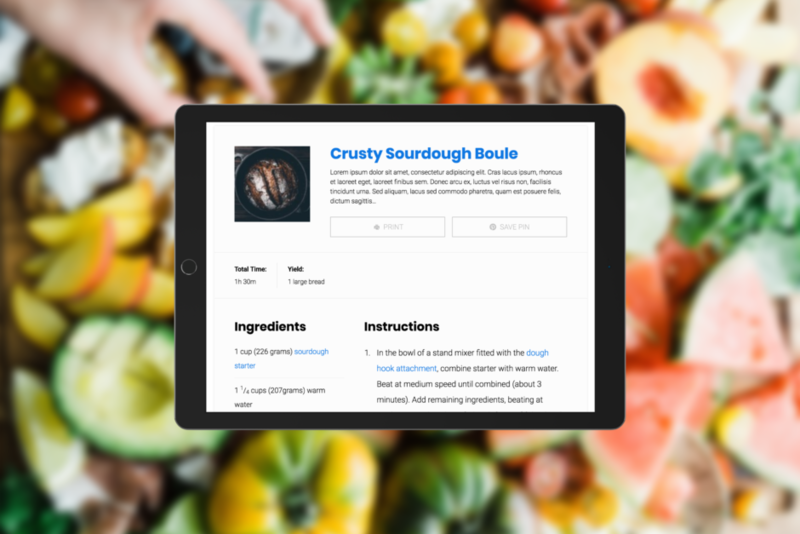 Simmer Pro adds new formatting methods to add links, bold, italics, and customized fraction text to recipe ingredient and instructions descriptions. and custom, stylized fractions like 4/5 or 1/3The allowed formatting can be placed anywhere inside ingredient and instruction descriptions. The new stylized fractions can be used by any web font regardless of other symbol support, meaning their output is compatible with most WordPress themes and customizations. For help anytime get in touch through the bottom right chat icon on our site anytime, or through our support page. We’re always happy to help. Future updates to Simmer Pro will add additional formatting tools and visual editing to these options. Simmer Pro Recipes and all extensions are have been compatible with Gutenberg–the new WordPress content editor currently in beta release–since work for the new editor began a few years ago. 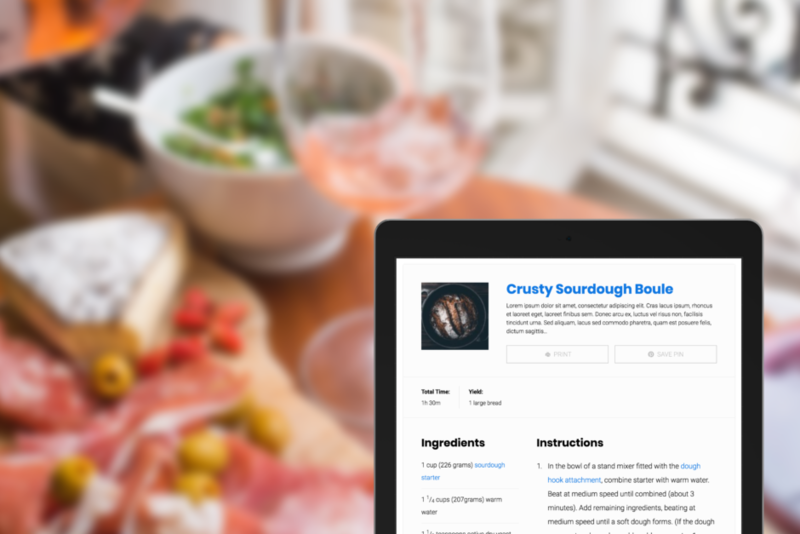 We are also building additional features to fully enhance recipes with some of the new functionality built into WordPress with Gutenberg. The switch to Gutenberg is simple and fast for most sites. To embed a recipe card anywhere inside Gutenberg content, copy and paste the shortcode found above the featured image in the recipe editor changes included in Simmer Pro 2.3. If you’re a Simmer Pro customer you can find the update from your WordPress dashboard to apply the new update immediately. This is a big update, so make sure to backup your site before you make changes if you haven’t already to keep your files and database ready for a restore just incase. Let us know how you like the changes in this latest version. We love building tools our customers love to use everyday, so our roadmap for Simmer Pro is always changing. Simmer Pro is made for regular recipe creators who want clear, concise, and consistent recipes displayed in a beautiful design and optimized for the latest technology. It doesn’t require any advanced customization to setup, so anyone can download and install the plugin to create a new food blog or recipe content instantly. The latest updates to Simmer Pro add new features and keep your site compatible with both important Google recipe SEO and WordPress editor updates. Keeping your site up to date with these changes is essential in standing out from the crowd and building your online investment for maximum performance. Simmer Pro is also protected by our 30-day money-back guarantee so you can buy this premium plugin risk free. If you’ve been searching for a WordPress recipe plugin that really provides a beautiful design and adds real, valuable recipe technology for consistent traffic or revenue growth, then grab your copy to get the new tools included in v2.3.